Mermaids are awesome! 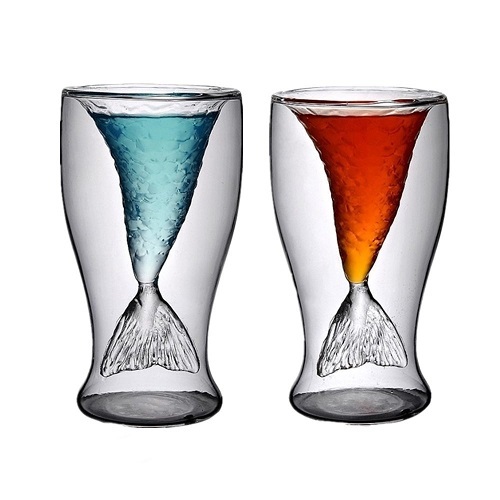 Find more than 30+ great mermaid gifts in this unique gift guide dedicated to fans of the half-human half-fish mystically creature – mermaids! 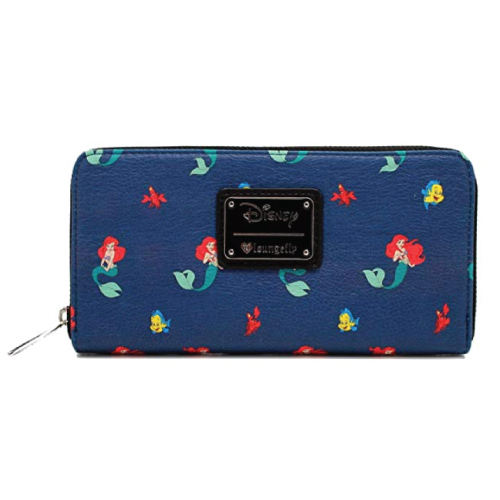 We all have that one friend who is obsessed with mermaid stuff. 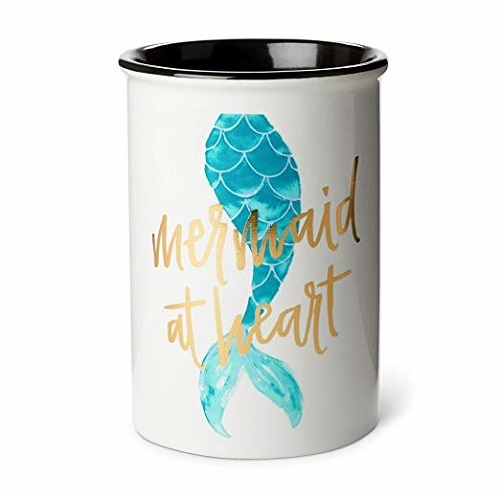 When it comes to her birthday, Christmas, or any other occasion that you would like to give her a pressie, the first thing that comes across your mind is “I must get her a mermaid-inspired gift”. 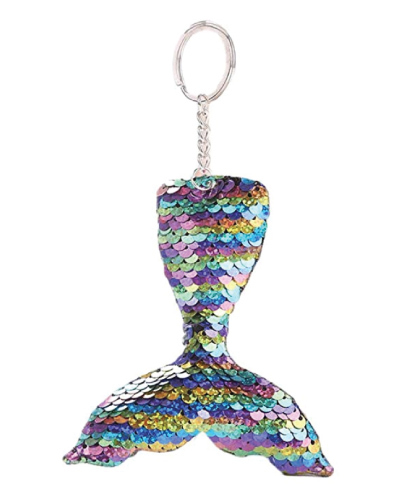 If you are shopping for that mermaid lover in your life, here’s our collection of 30 unique gifts for the aspiring mermaid. 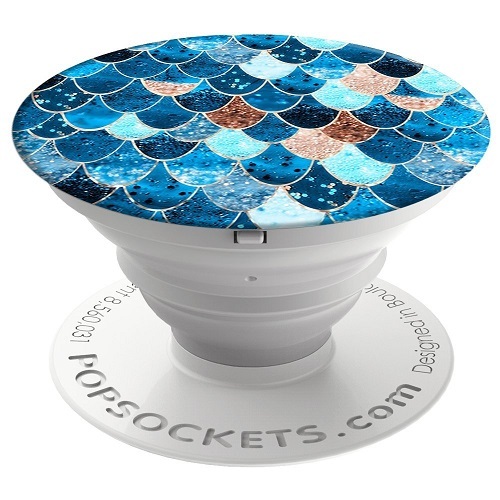 Bring the whimsical creature to your home. 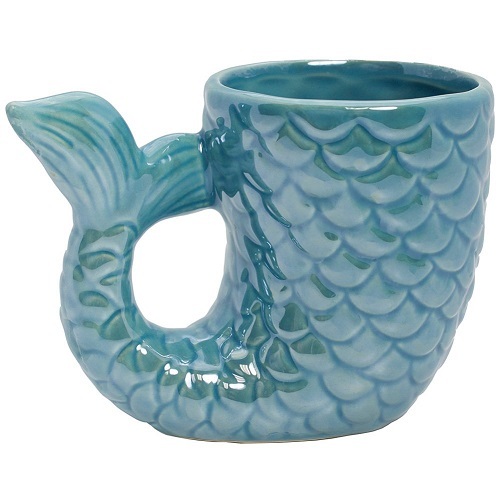 Everything tastes better in a mermaid tail mug. 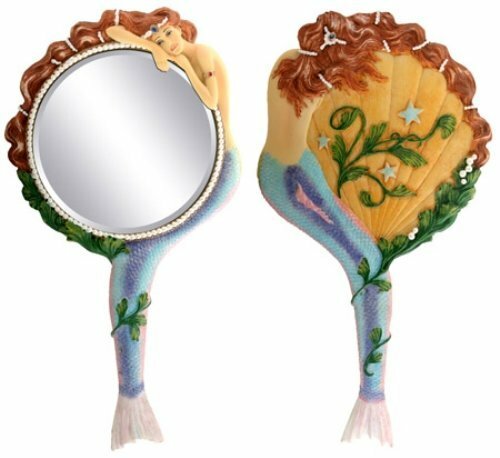 Check yourself out in the mirror, imagine you are a mermaid sitting on a rock by the sea. When you need a little wine to make the world goes smoother. This wooden box sign is perfect for an ocean-themed room. When the weather is cold outside, get into your tail and stay warm. 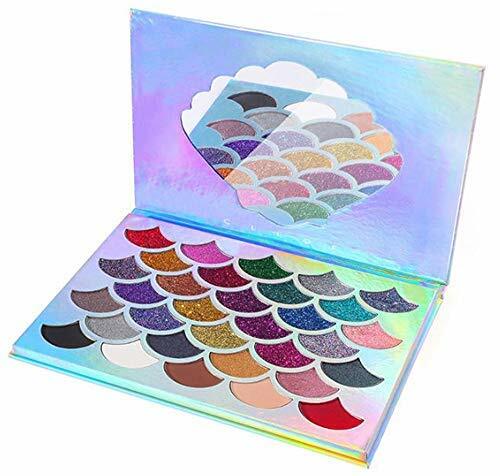 A combination of 32 shimmery, pressed glitter, and matte shades. They are highly pigmented colors to take your look into another level. 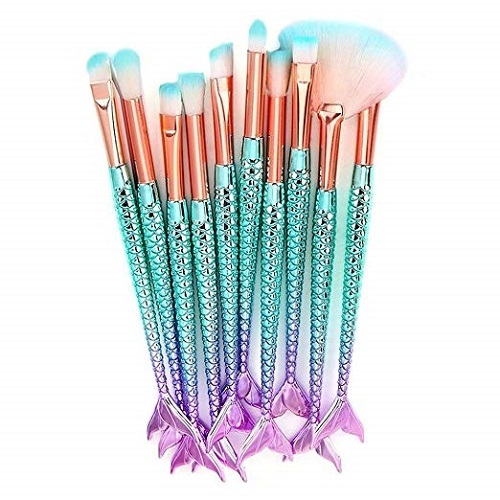 Use these brushes to create the most mesmerizing look. Declutter your desk. Store all your makeup brushes and pencils in this holder. 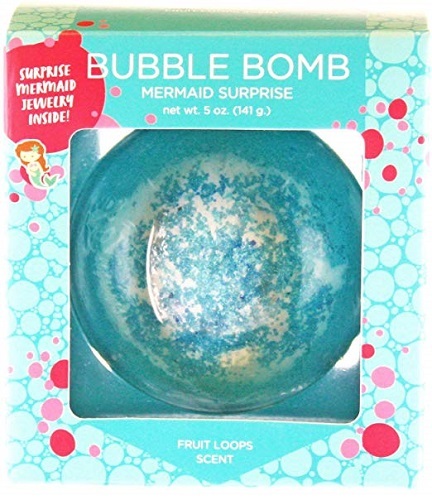 Turn your bath color into oceanic teal and be surprised to find a mermaid necklace when the bath bomb fizzes out. We definitely need a pretty seashell to store our stuff. She will be happy to see the Disney princess, Ariel, and her sea creature friends. Add a magical touch to your purse. 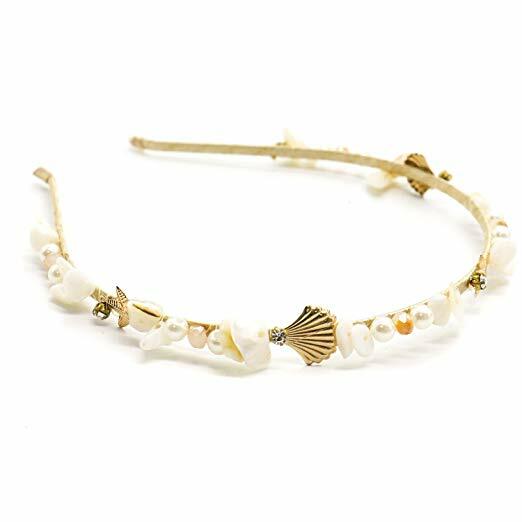 The easiest way to make a mermaid hair looks gorgeous — accessorize with a lot of pearls, shells, and starfishes. It’s not practical to go out in a seashell bra. 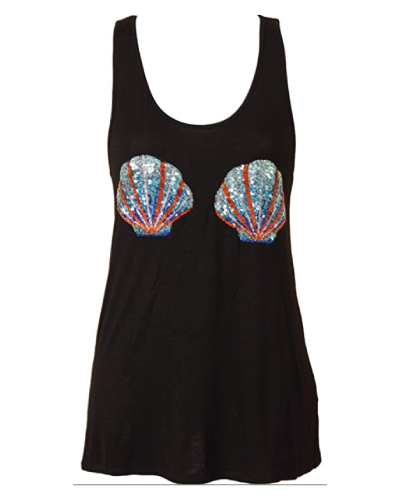 As a modern girl, we hit the street with a seashell tank top. 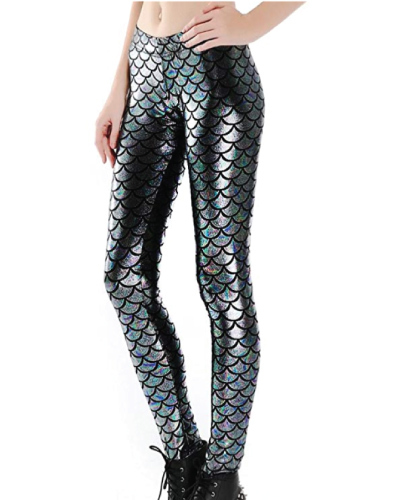 We walk faster in this pair of stretchy leggings. 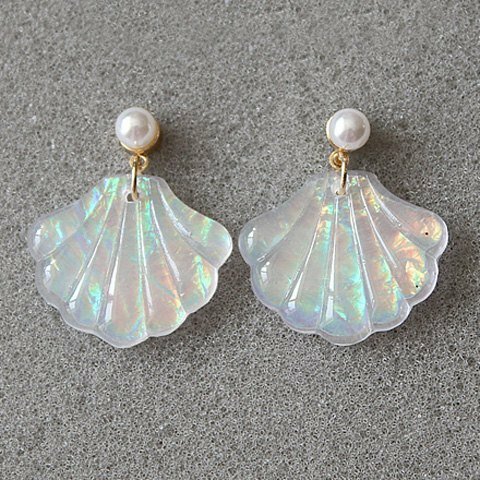 Let the pearls and seashells bring our look to another level. Thank you for being a true mermaid. 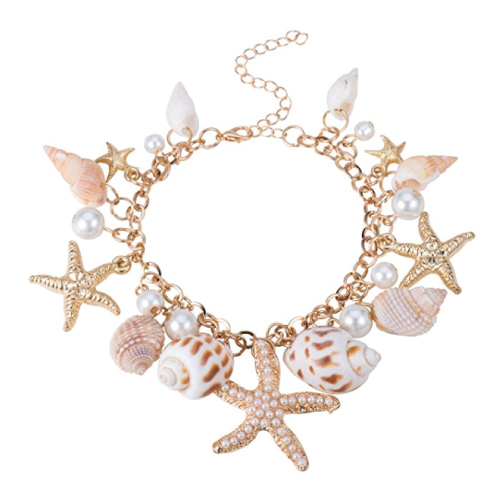 Girls will adore this lovely beach-style bracelet dangling with so many cute charms. 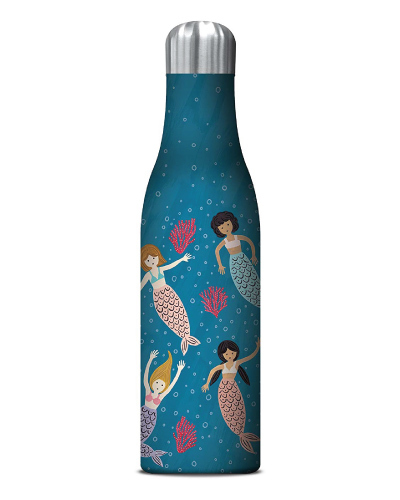 It looks like there are a few of your mermaid friends are swimming in the bottle. 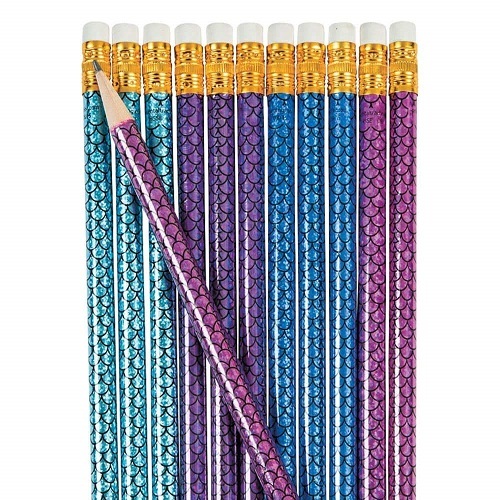 Even our pencils need some mermaid vibes. 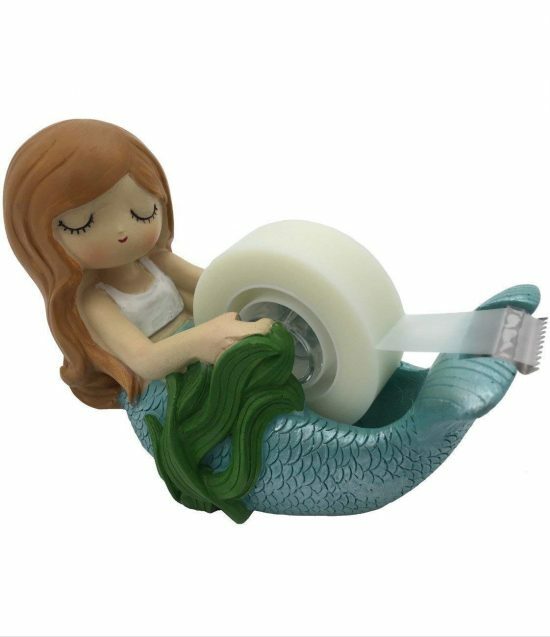 This little mermaid is ready to dispense tape whenever you need. To write down your secret life in the ocean. A tin containing 24 bandages in 4 iridescent underwater designs. Feel the magical mermaid healing power. 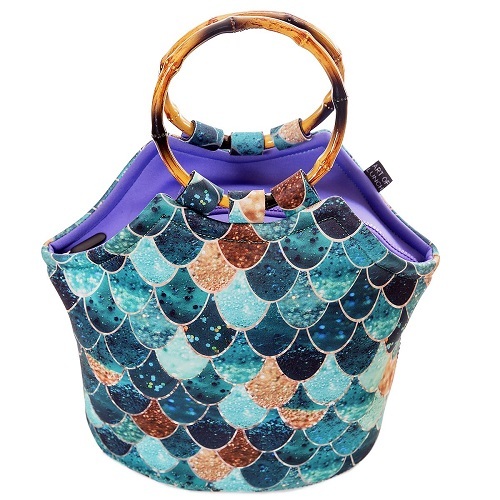 Carry your lunch in style. 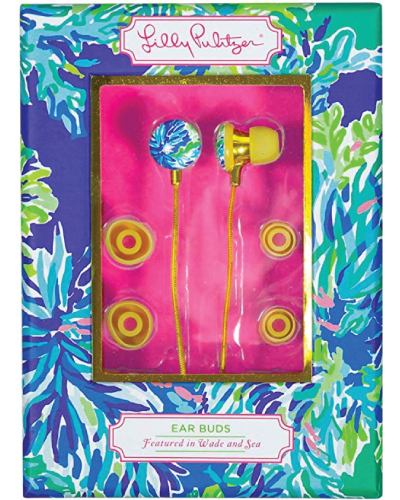 A pair of beautiful earbuds that plays clear and crisp sound. Expand the grip of your phone, use it as a stand for hands-free viewing, or as an earbud cord storage. 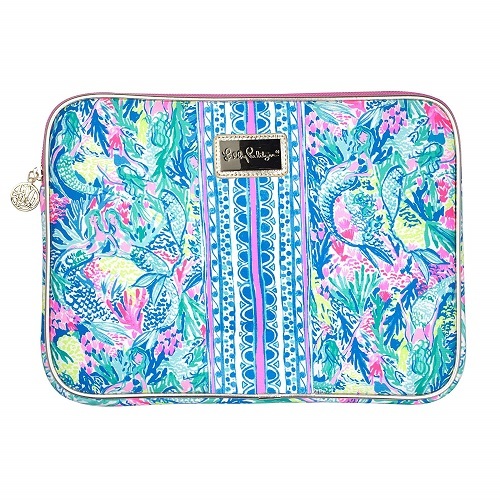 Offer protection when you are storing the laptop and tablet. Chic bikini for the aspiring mermaid. Also available in purple and blue. 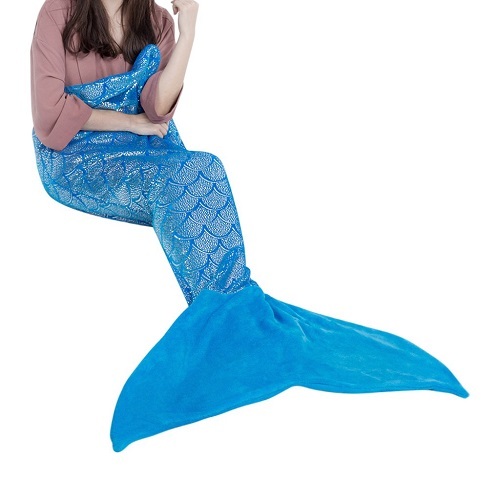 Dress up like a mermaid and swim freely in the water. It is stated on the swimsuit, need I say more? Lounge on the seashell and kissed by the sun. 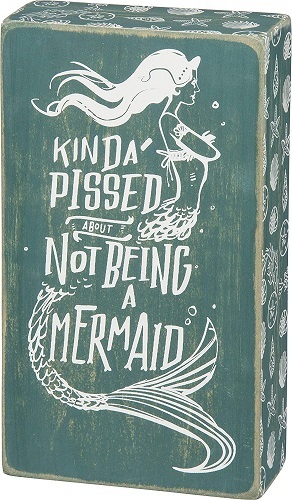 That’s a mermaid’s favorite pastime. 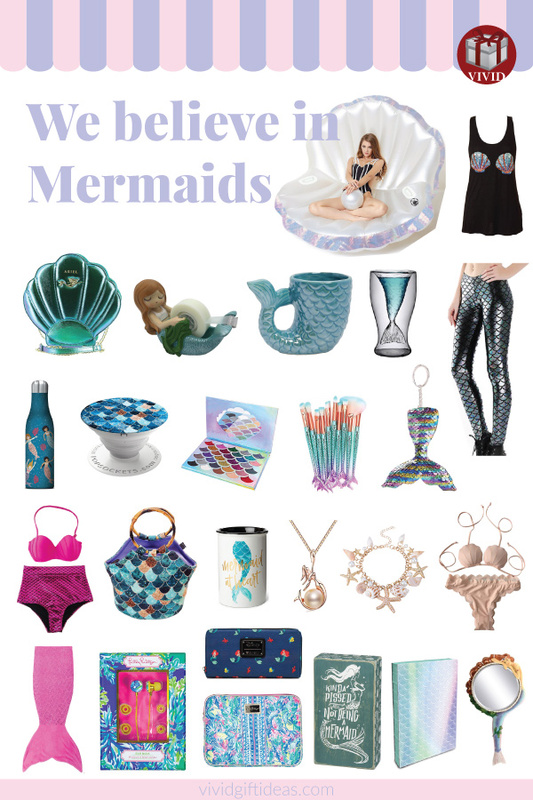 What are your favorite mermaid gifts from this list? 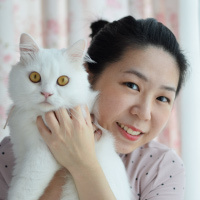 Did you find anything you like? 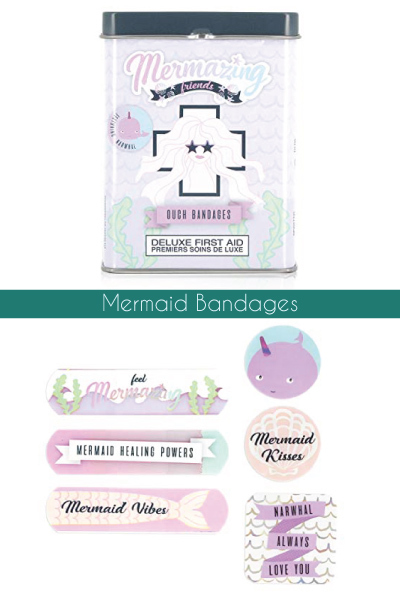 Which of these mermaid things will you be getting for yourself or your friends?